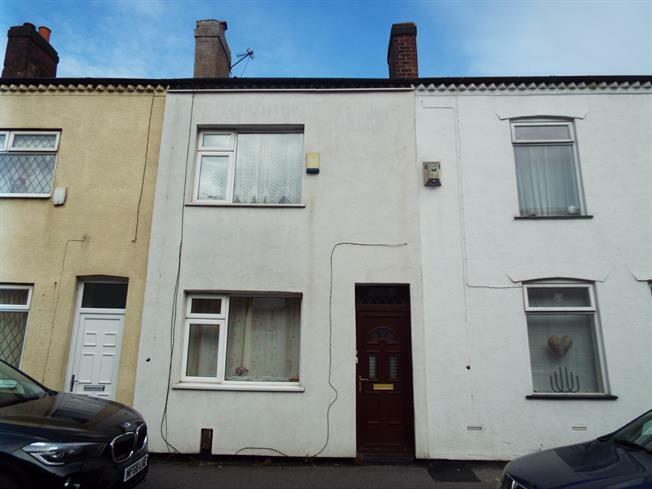 This spacious extended two bedroom mid terrace property is located close to Walkden Town Centre. The property is in need of cosmetic upgrade and features a spacious lounge, dining room and open plan extended kitchen. Two good sized double bedrooms and a fitted bathroom to the first floor. There is also a good size enclosed yard to the rear. This property is ideal for any buyer looking for a solid home to which they can put their on design to. UPVC front double glazed door. Double glazed UPVC window facing the front. Radiator, carpeted flooring, dado rail, ceiling light. Back door, Double glazed UPVC window facing the rear overlooking the yard. Radiator, tiled and vinyl flooring, part tiled walls, textured ceiling, ceiling light. Roll edge work surface, fitted wall and base units, single sink with mixer tap and drainer, space for gas oven, space for washing machine and fridge/freezer. Double bedroom; double glazed UPVC window facing the rear overlooking the yard. Carpeted flooring, boiler, ceiling light. Double glazed UPVC window with opaque glass facing the rear overlooking the yard. Radiator, carpeted flooring, part tiled walls, ceiling light. Low level WC, panelled bath, shower over bath, pedestal sink.